The Cheesecake Burlesque Revue keeps audiences coming back for more! They are multiple award-winners who have dazzled and delighted in Las Vegas, New York, New Orleans, San Francisco, Seattle, Helsinki, Paris, Stockholm, Rome and Berlin, as well as all across Canada! Armed with a sassy-silliness and a g-force of glitter, these girls pack a sparkly punch that will make your heart happy and leave you loving the skin you’re in! 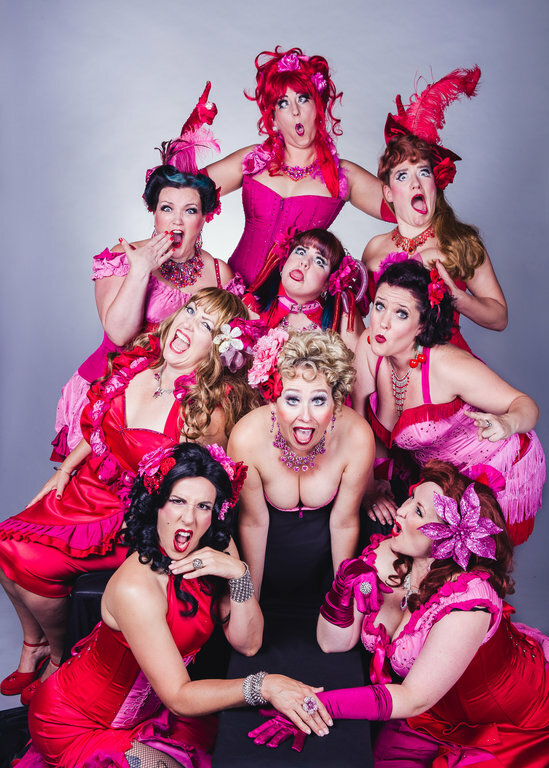 The Cheesecakes know how to put on the modern day show-stopper, and are known for their high energy acts, stand out performers, comedic timing, seductiveness and girl-next door accessibility! The Cheesecake Burlesque Revue Teaser!